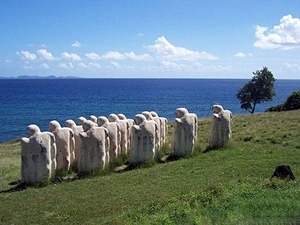 Welcome to Fort de France, Martinique where history meets contemporary. The capital of Martinique, Fort de France has a lovely collection of ancient forts, modern activities, and Martinique excursions, and so much to do that you might just have a hard time deciding. Back in 1638, when Martinique was first being claimed by the French, Jacques Dyel du Parquet, the first governor, decided to have Fort Saint Louis built to protect the city. The fort was soon destroyed, however, and rebuilt in 1669 when a new governor was put in place. We offer the absolute best options for your tours and cruise shore excursions in Martinique! Bilingual English/French speaking guide during walk! Learn about the history and culture of Fort-de-France! Visit 5 amazing tasting locations! 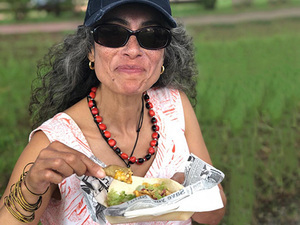 Generous tastings of local dishes! Relax at Parc de la Savane (Savannah Park)! Small group of maximum 10 participants! Experience Fort-de-France in a very unique way! Immerse yourself in the colors and flavors of Martinique! A guided walk through town, visit some of the most iconic places of Fort-de-France, taste some amazing local food and learn the history along the way. Pickup at your Fort de France Martinique cruise ship pier! Bilingual English-French speaking shore excursion guides! Visit Saint-Pierre, Church of Balata, Gendarme waterfall and more! Complimentary spring water and soft drinks! Beach stop at Carbet Beach! Enjoy local insider information about natural sights and highlights of Martinique! Explore a real rum distillery. Then relax on this Martinique beach break excursion. Visit Les Trois Ilets pottery village, church of Les Anses d'Arlet, Cap 110 memorial, famous Diamond Rock and Trois Rivieres Rum Distillery! Beach time at Les Anses d'Arlet beach! All snorkel equipment including mask, sterilized snorkel tube/mouthpiece and fins! Photo stop at Diamond Rock viewpoint! Complimentary soft drinks and spring water! 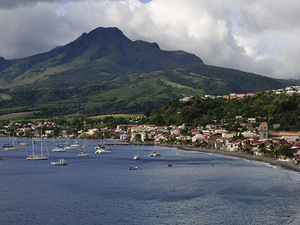 Enjoy sightseeing and explore the southern part of Martinique. You will have the opportunity to visit the Pottery Village, Les Anses d'Arlet beach, Cap 110 slavery memorial and even a rum distillery!